Located on Highway 4 between Lake Tahoe and Yosemite in the Central Sierra Nevada Mountain Range, Bear Valley Mountain Resort, CA, is a family-friendly resort that accommodates skiers and riders of all levels and abilities. Grab a lift ticket and check out the ski area's intermediate and advanced terrain mixed with multiple options for beginners and intermediates. Skiers and riders will find more than 75 trails, 1,680 skiable acres and 1,900 feet of vertical drop, all serviced by a total of ten lifts. 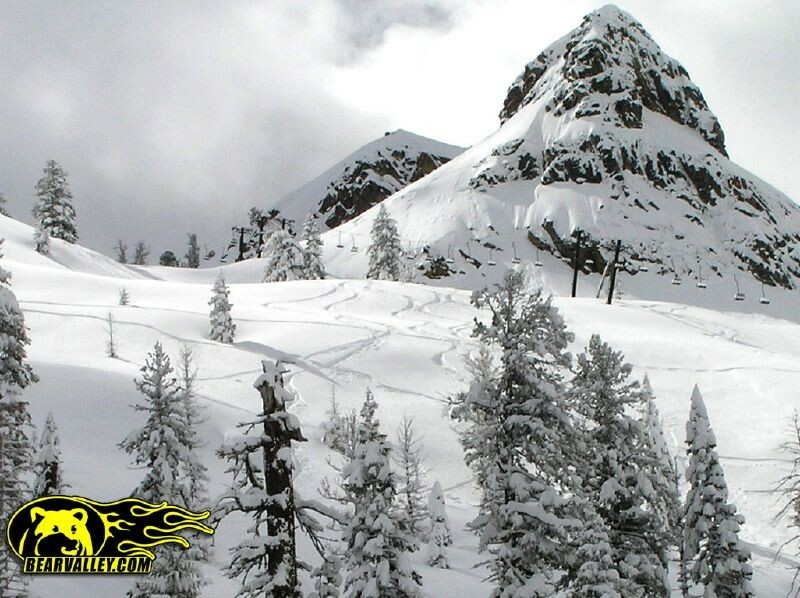 Bear Valley, CA, offers tuning and repair, equipment rentals and ski lessons. The resort is known for being a relaxing High Sierra escape complete with gorgeous views of the surrounding mountains. Great weather makes for long days on the slopes, but when it's time to call it quits there are excellent lodging options close by. Lodging options include Bear Valley Lodge and a multitude of cabins and vacation rentals near the ski resort. Averaging 359 inches of snowfall annually, Bear Valley offers over 75 trails with 25% beginner, 40% intermediate, and 35% advanced terrain spread across 1,680 accessible acres. For freestylers, there are two progressive terrain parks with beginner to advanced features, while advanced skiers and riders can join a snow-cat tour to adventure into untracked powder in the sidecountry. Bear Valley also features over 3000 acres of Nordic Trails, one of the largest in the US, for track and skate skiing, and snowshoeing. Bear Valley was originally called Grizzly Bear Valley named during a scouting expedition in 1855. In 1952 the Orvis family purchased 480 acres of property and built a large log cabin and created a cattle ranch. Bruce Orvis then created Mt. Reba Ski Bowl and established Bear Valley as a winter playground.